over to visit Claire at the Promenade. Claire is away for a little vacation and I wrote a little guest post for her wonderful blog. 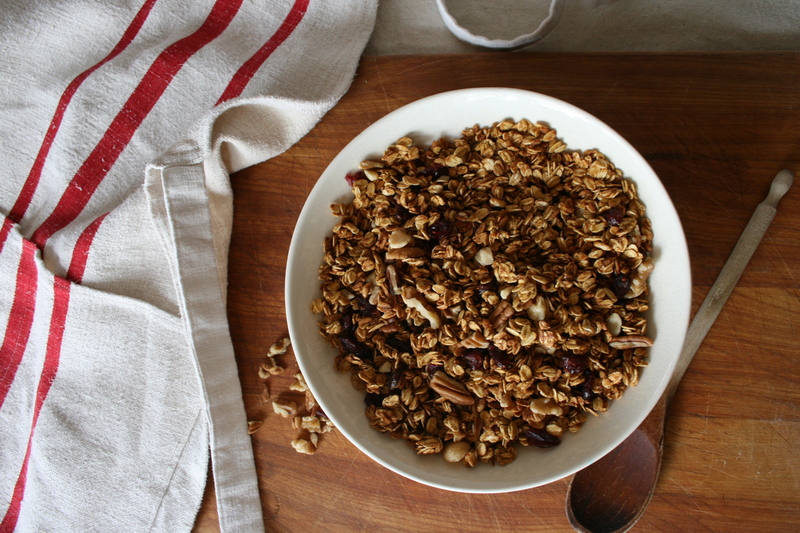 If you would like to make this delicious Pumpkin Spice Granola–Hop on over! Sounds like a delicious recipe and perfect for the season. Can anything be substituted for the maple syrup since I don’t have any? Just add a “liquid” to replace the amount–this is very forgiving…You can add a little more pumpkin, a little more apple sauce, and a little more honey! Lucy took this to school for snack–little 5th grade girls asked for the recipe! How cute was that!?! Hope you like. Nice to meet you Barbara! Thank you for hoping on back over here to my little garden blog, and your kind comments. It was so lovely to host your blog Stacy, thank you so much for Promenading! Thank you so much Claire, it was such a fun opportunity. Oishii (delicious in Japanese)! I made it just before the arrival of hurricane Sandy. It came in very handy during the resulting power outage. Thank you for sharing the recipe! Hope you are well and all involved mend–quickly!